Having completed her national diploma in Travel and Tourism, she started her working career at the Summerstrand Inn Hotel where she gained a good understanding of the service industry. 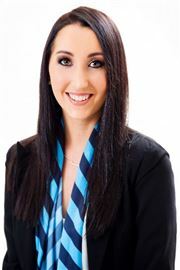 In 1996 she joined the Pam Golding Properties Franchise division. 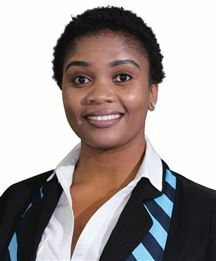 She then moved to Homenet (now Harcourts), as a regional co-ordinator and was involved in the regional marketing, brand building and training for the group (Eastern Cape and Garden Route). In December 2004, she was offered a position as principal for the franchise office of Harcourts Beachfront and has been managing this award winning team consisting of 13 staff in their sales and rentals division since then. She has a passion for the industry and believes in providing a quality experience for her clients. She values the benefits of a positive attitude and having a great team at her side. "If something is worth doing, its worth doing properly." WHY REAL ESTATE? Phiwe has always had a passion for sales and assisting people realise their dreams. She believes real estate is not just about selling houses, but it’s more about understanding people’s needs and providing them with a service that goes well beyond merely putting a For Sale / Sold sign up on their lawn.“The pleasure that I find in Real Estate is in advising and assisting you in makingthe most important decision you will make in your life” Phiwe also thinks the ability to write your own pay check every month is an added bonus. WHY HARCOURTS? Phiwe has worked for two other companies before joining Harcourts, she was blown away by the technology, systems and values of the company. She finds that the level of professionalism, leadership, and training are what makes Harcourts the Fastest Growing Real Estate Company in the world. “Harcourts is in the forefront of technologyandis incomparable to any company, enabling us to offer cutting-edge technology and service, which makes us the best in the world.” WHY HARCOURTS BEACHFRONT? Phiwe makes it a point to surround herself with like-minded individuals, who are not only motivated and confident, but who also have a positive attitude and strong communication skills. When Phiwe Moved from East London to PE it was a no brainer for her to Choose to be part of the Harcourts Beachfront Team. This lady is of Greek origin who lives in South Africa and wanting to one day retire in Greece. She started working with the Harcourts team since 2013, and thus so far gained extensive experience through her agents and clients. She has always worked with the public her whole life, one of her best and favourite attributes. This industry has taught her a vast amount of patience, meeting the individual needs of each customer. She gives her all and strives to gain good relationship with her customers at all times, offering efficient and prompt service with a smile:) Her motto: Nothing ventured, nothing gained. Albert Road - Walmer - "Oldie"
Get a foot in the market! Love to reap the rewards! !